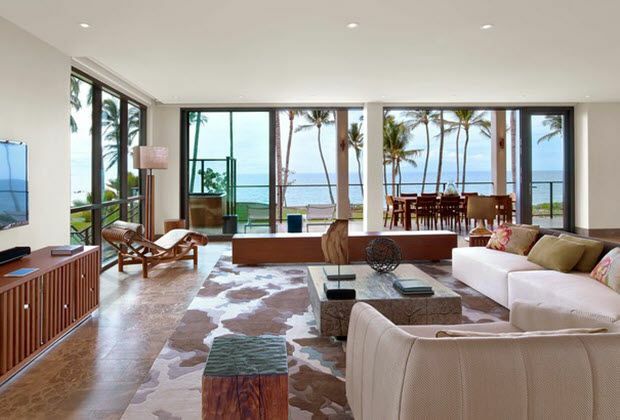 Andaz Maui at Wailea Resort on Maui is a AAA Four Diamond property. Photo courtesy of Andaz Maui at Wailea Resort. Editor’s note: B-Roll of a AAA inspection is available here. AAA has unveiled 121 hotels nationally – including four in Hawaii - that earned the AAA Five Diamond Rating® in the past 12 months, qualifying them for this year’s AAA Five Diamond Award list. Hotel honorees are beautiful resorts which also offer superior amenities and the latest in hospitality technology, including in-room tablets, mobile apps, mobile keys and digital messaging to enhance an exceptional guest experience. Hotels receiving a Five Diamond Rating undergo in-person inspections, anonymous overnight stays and, finally, an expert panel review to ensure credibility. Fewer than half of 1 percent of the more than 27,000 AAA Inspected & Approved hotels receive the AAA Five Diamond Rating. AAA Hawaii also announced the local AAA Four Diamond® ratings, including four properties receiving the rating for the first time: in Honolulu the Hokulani Waikiki by Hilton Grand Vacations Club as well as The Grand Islander by Hilton Grand Vacations; Koloa Landing at Poipu Beach Resort on Kauai; and Kohala Suites by Hilton Grand Vacations in Waikoloa on Hawaii. Travelers can find Diamond Rated establishments and inspector insight in AAA trip planning products: the AAA Mobile® app for tablets and smartphones, the TripTik® Travel Planner and Travel Guides on AAA.com and AAA TourBook® guides available at AAA/CAA offices.